It’s a great week to be British. 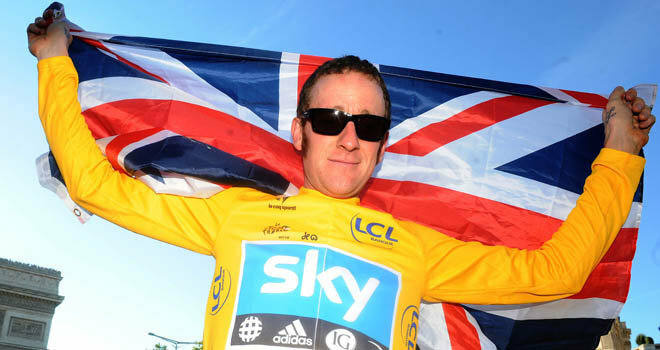 Bradley Wiggins wins the tour and we are just a few short days away from the greatest show on Earth – the Olympics I mean. So, Virchester is hosting some of the Olympic events and as a result the local EDs have been put on standby to receive athletes and their support teams as patients. We have some experience in this as a few years ago the Commonwealth games were held here and it was interesting to think back to that time and reflect on how it affected us in the ED. Virchester also hosts many elite sporting teams so we are used to famous and/or talented sportsmen and women turning up on our doorstep. Teams form the large, wealthy countries invariably bring their own team of healthcare staff with them ranging from docs to physios. It’s likely that most problems will be dealt with by these people and therefore they won’t come to you that often. If they do then the athlete/support staff are usually accompanied by one of their physicians. These are usually fairly easy consults as a result. Athletes and staff from the less well off nations present different problems. They may not have their own supporting staff and as a result it is possible that they may end up in your ED. Now, LOCOG and other major sporting organisations put on fantastic facilities and teams of staff to deal with this issue, but still they may slip through the net. In previous events we have had all sorts of things turning up in the ED, from acute trauma, right through to long term health problems presenting to the ED for treatment (for conditions where treatment might be tricky to get back home). So, despite the best laid plans, if you are near an Olympic venue you might get Olympic participants through the door. So, what are you going to do about it and where are the dilemmas? These are not the thoughts of a sports physician and I know that many ED docs know more about sports medicine than I do, rather what should we be thinking about as non-sports medicine experts faced with the prospect of high profile, high maintenance, high risk athletes turning up in our EDs over the next few weeks. 1. Who should they see? This is the age old chestnut of how to manage VIPs in the ED. Should anyone be prioritised in terms of time or in the seniority of clinician who sees them? Rightly or wrongly I would suggest ensuring that elite athletes are reviewed by a senior physician. These are high risk (legally and clinically) patients and it makes sense to get the best opinion possible. 2. Costs? All participants in the Olympics are entitled to free health care so there are no concerns here. The NHS committed to “Provide free comprehensive healthcare to Olympic and Paralympic family members throughout their stay for the Games whilst still providing healthcare for our local residents”. Treat them as NHS patients and don’t worry about it. 3. Clinical Vigilance? This is a tricky concept for me to explain, but it’s something along the lines of balancing between delivering normal care (which should be the best you can) with an appreciation that sports medicine is different. It’s different clinically as there are a host of conditions that are sports specific, but also the psychological elements around the relationship between athlete, coach and physician (team and you). Complex factors such as the injury being made public, desire to compete, potential risk etc. may all be at play in the consultation and you may find it difficult to understand everything that’s going on. So close to an Olympics such conflicts are likely to rear their heads. I have found this aspect of treating athletes the most complex and difficult. 4. Expertise? You’re a great emergency physician I know, but don’t step outside your comfort zone. By all means diagnose the undisplaced metacarpal fracture in the water polo player, but think long and hard before you advise them on whether they can play with it strapped up in 5 days time. I have been asked all sorts of stuff about prognosis, therapy etc. Remember that time to healing to sit behind a desk is somewhat different to time to be able to compete at elite level. Similarly, you don’t want to say something is OK to compete on if it then results in more serious injury. If you are going to give advice beyond your competency phone your medical protection organisation soon (see note below). 5. Drugs? This is not about you detecting the performance enhancing kind, but rather that little stock of drugs in the cupboard that might result in an athlete testing positive. The WADA (World Anti Doping Association) lists can be found here. I guess analgesics and B2 agonists are the areas where the typical ED doc might make an error. That could be rather embarrassing so best avoided. So, hopefully everything will go swimmingly well (the Ozzy swimmers are in Virchester this week), and we won’t see any athletes or staff at all……., but somehow I don’t think so. NB. Sports medicine and EM. I actually think they make really great bedfellows as much of what we do is transferable to the sporting arena. I once attended a Cricket match at Old Trafford when a chap collapsed in front of us. Within minutes there were 2 ED consultants, an ICU consultant, a Cardiology consultant and a Rheumatology consultant in attendance. We sorted the chap out and handed him over to the site doctor…..an SHO in pathology who’s domain knowledge was thankfully not required.